The Coffee Bean & Tea Leaf Kuwait, last updated on 8 March 2019 , is listed under Western Cafes category. It was added to Kuwait Directory Rinnoo.net on 7 January 2017 . 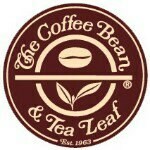 Pages of The Coffee Bean & Tea Leaf Kuwait on Rinnoo.net have achieved 45,963 views till now. The concept for The Coffee Bean & Tea Leaf stores was born during a trip that the founders Herbert and Mona Hyman took to Europe over 40 years ago. After touring the many outstanding coffee throughout Europe, the couple decided to bring the specialty coffeehouse idea to America. The Coffee Bean & Tea Leaf was established in 1963 opening its first store in Brentwood-California, which continues to operate today as one of our highest sales and profile stores, we are "California born and brewed" and are now the oldest importers, roasters, and multi-unit retailers of specialty coffee and tea in the United States. We are pioneers in retailing specialty whole bean coffee and loose leaf teas since 1963. In the 80's we invented the Original Ice Blended, which started the worldwide craze of blended drinks. Our Original Ice Blended® drinks are still touted as "The most delicious drink in the world." Additionally, we are credited for popularizing Chai Latte drinks in the mid 90's and have since extended our range of Tea Latte drinks brewed through the espresso machine. It has taken us years to build relationships with individuals, farms, and estates so that we can be assured of the best coffee crops available. Our coffee is roasted fresh daily in small batches in a manual European roast style, than packed using state-of-the-art equipment for shipment in our own roasting facility and delivered fresh daily to our stores. Since 1963, we have continued to search the earth for only the finest and rarest loose leaf and proudly offer 40 varieties. Our original Special Dutch and French Deluxe gourmet powders taste better than any syrups or flavorings. Just taste the difference that freshness, quality, and passion for excellence can make in your favorite handcrafted drink or blend. We offer one of the most diverse menu selections of specialty coffee and tea from around the world. We carry a comprehensive range of origin coffee, blends, and roast styles as well as 4 varieties of daily brew including our wonderful flavored pre-ground coffee. We also have a large offering of related food and beverages which appeals to all age groups from all walks of life that is unmistakably The Coffee Bean & Tea Leaf. * Most viewed out of 25 branches. Sorted based on branches' views in the last 30 days, from Thursday, 28 March 2019 till today.